The deadline to submit your proposal for the XVIII edition of Live Performers Meeting is postponed to April 18th! LPM begins on May 18, 2017 in Amsterdam, in the spaces of RADION. Don’t miss the opportunity to meet av people coming from so many countries! 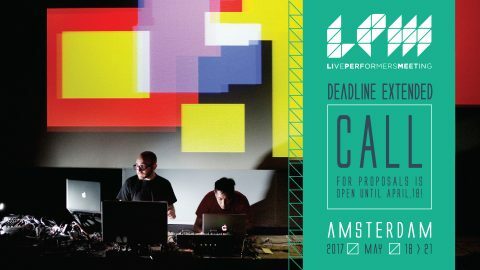 THE CALL LPM 2017 IS OPEN TILL APRIL 18, 2017! Send us your project or performance and join the big meeting on Audio Visuals Performing Arts!